This is an absolutely stunning satin back crepe dress by Veni Infantino for Ronald Joyce. This dress has been created in two tones with lattice capped sleeves and waist with added delicate beading throughout. 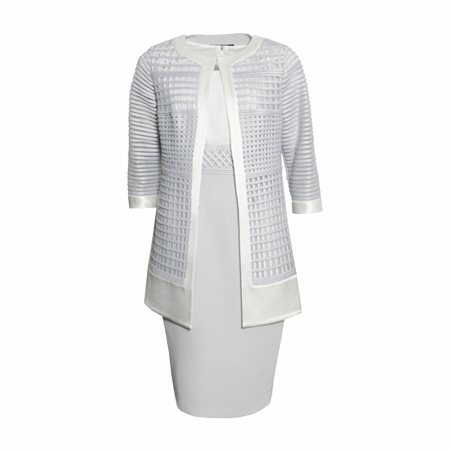 This gorgeous outfit has been finished with a long length lattice style jacket with a sheer sleeves.